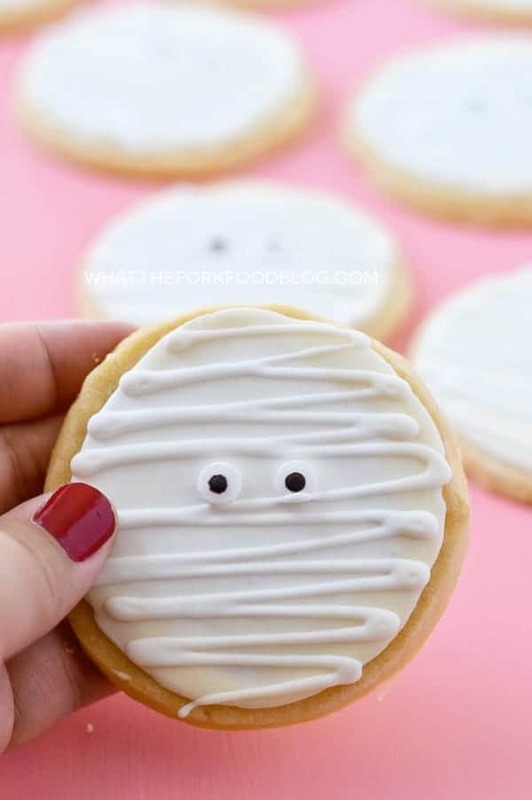 These Gluten Free Mummy Cookies are a fun treat for Halloween. They’re made with my easy sugar cookie recipe and decorated with a simple royal icing. 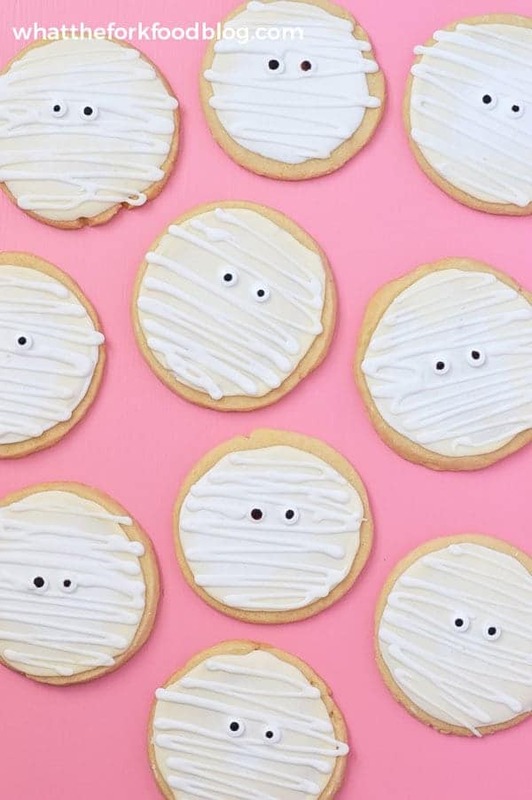 How cute are these gluten free mummy cookies?! I feel like I’ve been saying that a lot lately. I guess I’ve been making a lot of “cute food”. There’s just something about holiday treats that are so much more fun than your standard breads, cakes, and muffins. Halloween is such a fun excuse to make themed treats like my gluten free spider cookies and those sweet and salty pumpkin marshmallow pops. I’m not sure if you saw those peeps pops that I made to accompany my sweet little pumpkins but I made a quick little Facebook video to show how I made them. <<<—– Please watch it! 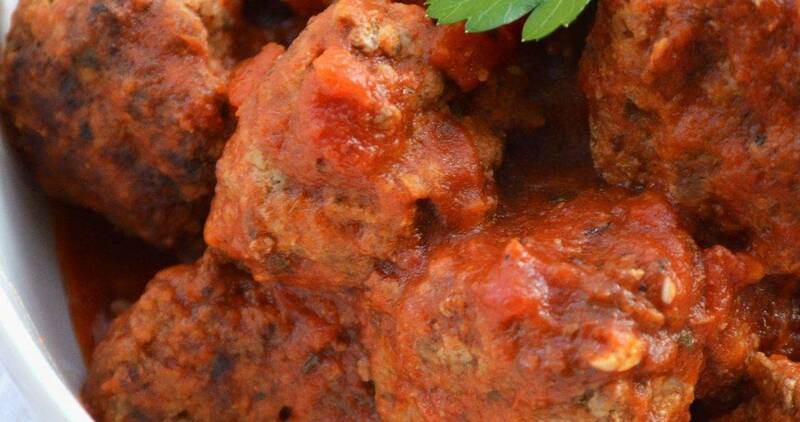 They’re seriously a no brainer and my kids can make them themselves with no problem. It’s the perfect little treat when your kid tells you Sunday night that they need a snack for the Halloween party on Monday. These cookies aren’t much different from making my Conversation Heart Cookies. In fact, the icing method is almost identical and the cookie base is my regular gluten free sugar cookie recipe. But instead of coloring the icing and filling in hearts, we’re keeping the icing white and filling in circles. Then once the icing has dried, you’re going to pipe the mummy bandages. They way easier then they look! Just a note on the royal icing – I use both Rodelle Vanilla Extract and Rodelle Almond Extract to for flavoring. 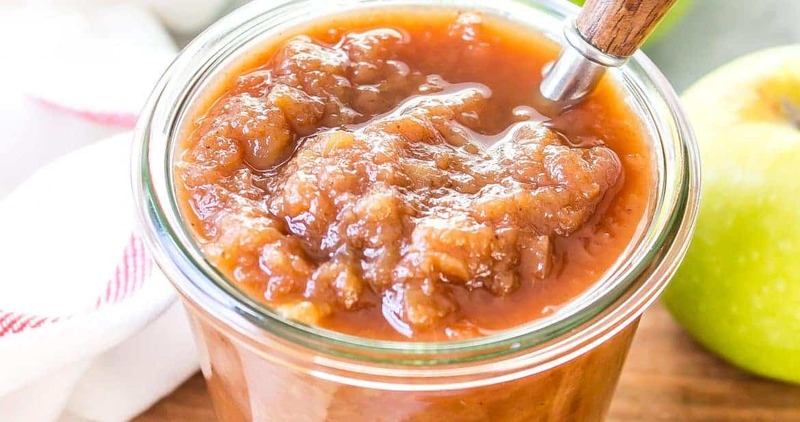 I love the flavor the almond extract brings – it gives it a little something special! 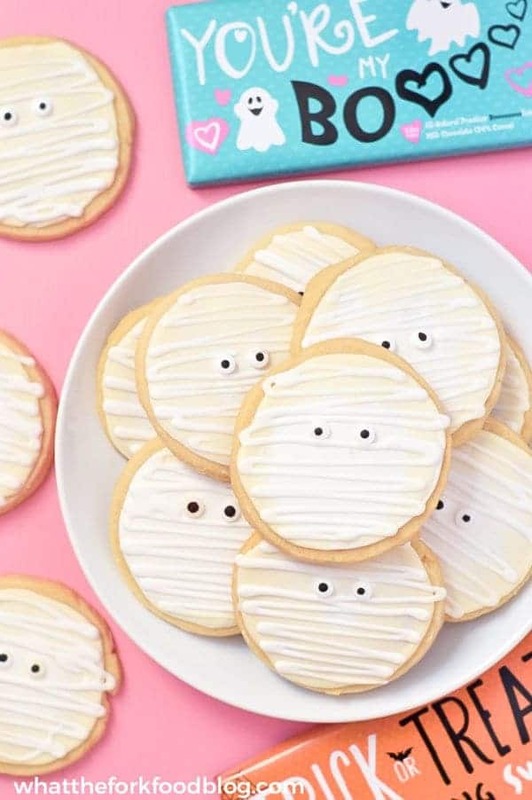 Bring these to a party and your friends and family will be super impressed. And you’ll be feeling super proud because you get to claim all the credit. Enjoy! 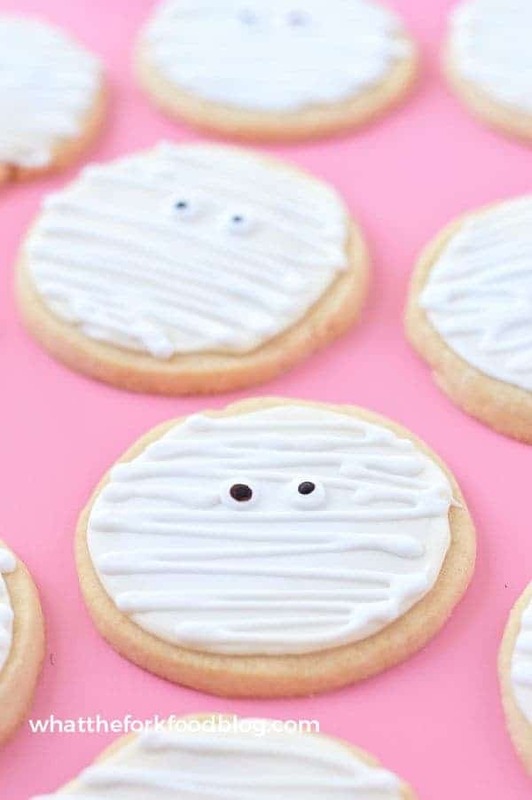 These Gluten Free Mummy Cookies are a fun treat for Halloween. They're made with my easy sugar cookie recipe and decorated with a simple royal icing. Prepare the cookies according to recipe directions, using a 2 1/2 inch round cookie cutter to cut the shapes. Cool completely before decorating. Add the powdered sugar and meringue powder to a bowl of a stand mixer fitted with the paddle attachment. Mix to combine the sugar and meringue powder. Add the vanilla extract, almond extract, and a 1/4 cup of warm water. Mix on low to incorporate all the ingredients. When the icing starts to come together, turn the mixer to medium speed and beat for 5 minutes. When the icing is done, divide the icing into two separate bowls. Thin the icing from one of the bowls with the remaining water, adding 1 teaspoon at a time, stirring after each addition. 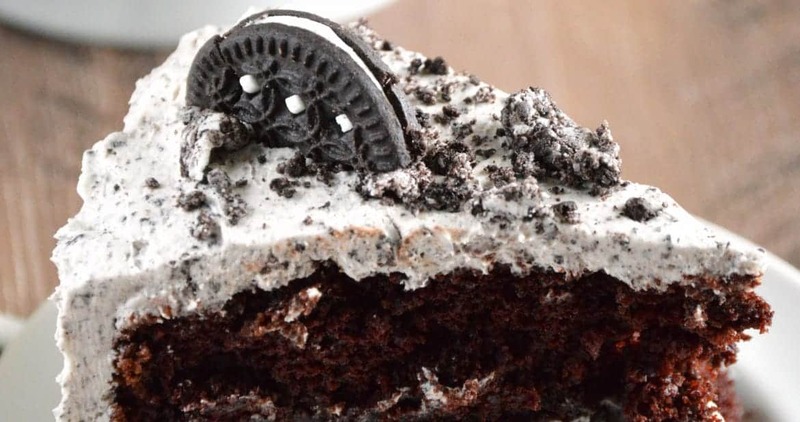 You want the icing to be thin enough to flow from a spoon but not too runny. This is your "flood" icing. Transfer the flood icing to a piping bag fitted with a #3 (or smaller) piping tip. You could also use a ziplock bag and cut a TINY tip of the corner off. Pipe a circle around the border of the cookie, leaving a bit of an edge, and then fill the inside of the circle with enough icing to cover. Use a toothpick to help fill in the gaps and gently tap the cookie on the counter to help smooth out the icing. 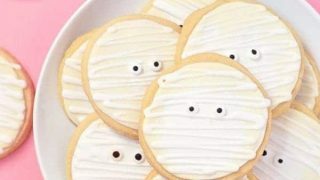 Add the eyeballs and then transfer to a baking sheet and let the icing dry at least 6 hours (overnight is ideal). Repeat this step for all remaining cookies. Once the cookies have dried at least 2 hours (or dry to the touch), you can cover them lightly with plastic wrap. Just make sure it's not air-tight. When the icing is completely set, use the remaining icing to pipe the mummy "bandages". You can thin the icing out with water if it's too thick to pipe - you want this icing to be a bit thicker than the flood icing. Pipe the "bandages" onto the cookies. Let the cookies dry completely and at least 6 hours before stacking. They can be enjoyed immediately if desired. Cover the extra royal icing by placing a piece of plastic wrap directly on the surface of the icing. Then cover the bowl with additional plastic wrap or a lid. Icing can be kept on the counter overnight. This post contains affiliate links for equipment and ingredients used to make this recipe and is brought to you in partnership with Rodelle.